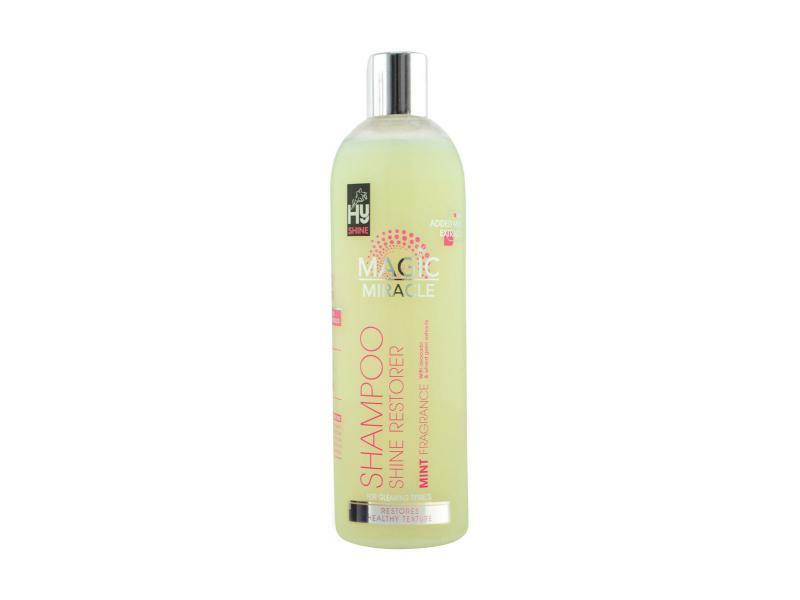 A brilliant 2 in 1 shampoo & conditioner with pro vitamin B5 to help strengthen and repair hair. Features added germ extracts for a super smooth finish. 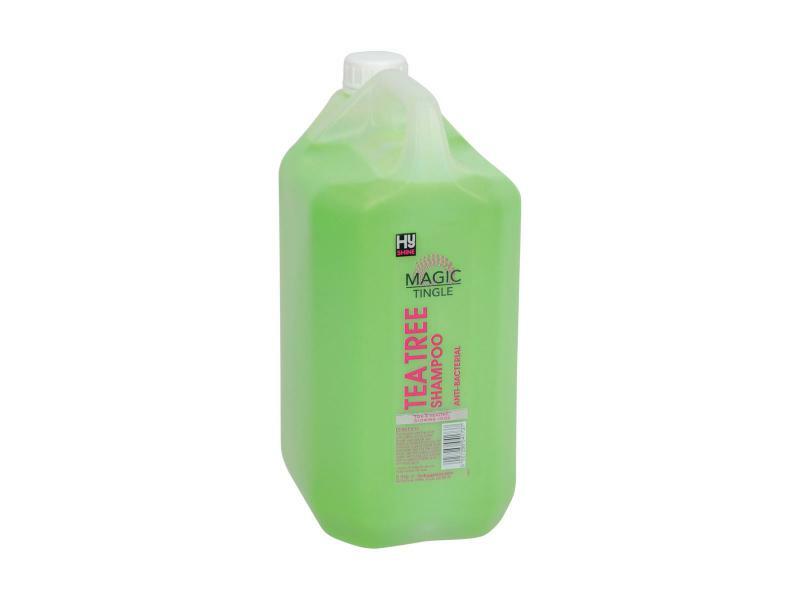 The magic miracle shampoo helps to restore the shine in your horse's coat. 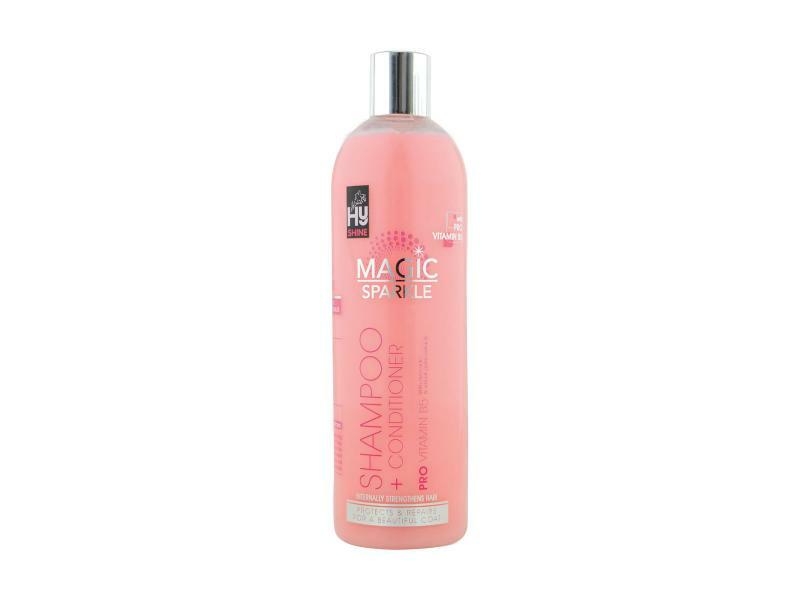 Mint fragranced shampoo, nourish and condition the coat at the same time, whilst leaving the hair feeling silky and soft. 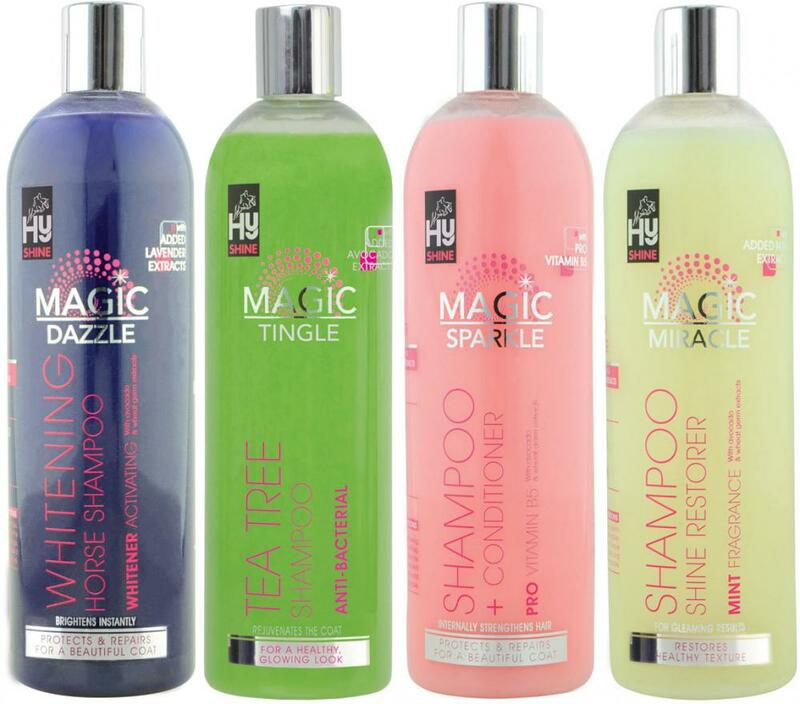 The magic dazzle shampoo is fast acting whitening shampoo. 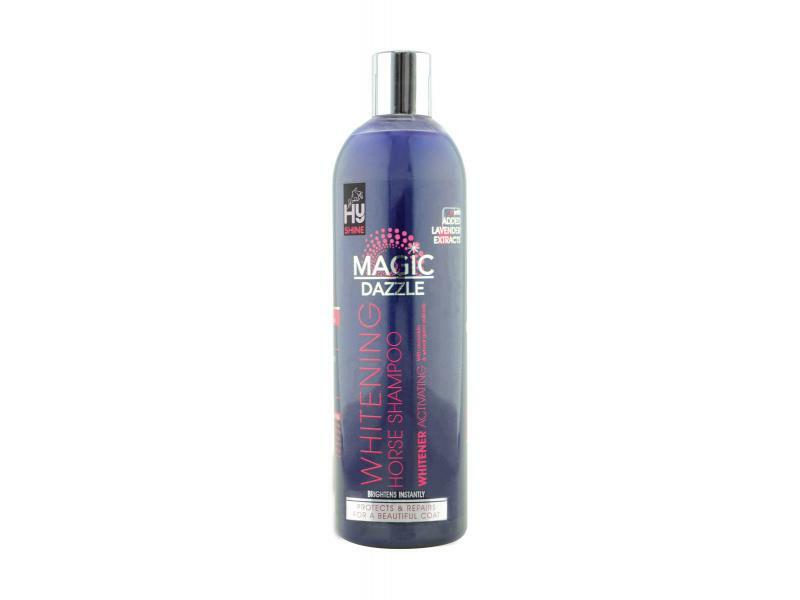 Ideal for making those white areas dazzle, not only does it combat yellowing hair, this shampoo has a fusion of avocado, lavender and wheat germ. 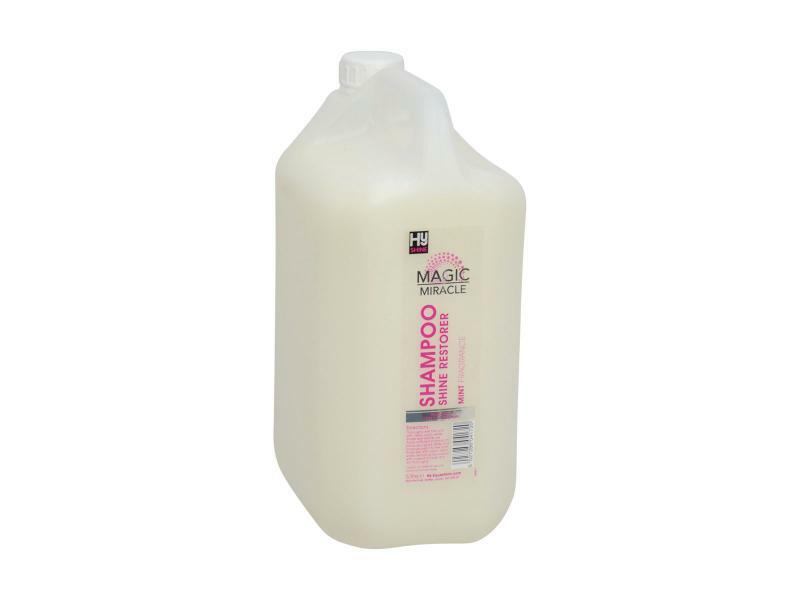 There are currently no questions for HyShine Magic Horse Shampoos - be the first to ask one!